Ryan M. Eashoo is the Broker/Owner of RE/MAX Edge in Davison, Michigan. Honesty, persistence integrity and passion are the characteristics that Ryan has built his business on. Ryan is passionate about helping home sellers and buyers achieve their goals. He is very energetic, always going the extra mile to help his clients. Whether that is helping a seller obtain the most money for their home, or a buyer get the best deal when buying their dream home. He loves a good challenge and never quits working for his clients. His years of experience, education, designations and hands-on approach have made him one of the top realtors in the area year after year. Ryan holds the prestigious ABR, AHWD, BPOR, CDPE, CREA CRS, CNHS, ePro, GRI, RCC, RSPS, SFR, SRES and QSC designations. He also attended The University of Michigan – Flint Campus. Ryan has been a licensed REALTOR® in the state of Michigan since 2000 and the Owner of RE/MAX Edge in Davison since January 2014. On a local level, Ryan is a member and past Secretary of the East Central Association of REALTORS®, REALTOR® Political Action Committee. He has attended numerous Michigan Association of REALTORS® Conventions and is a member of Flint Women’s Council of REALTORS®, East Central Association of REALTORS® and the Genesee County Landlord Association. Ryan has achieved a number of awards, including the REMAX Hall of Fame Award for top sales from 2002 to 2014. He has earned the REMAX 100% Club Award, Chairman’s Club Award, Lifetime Achievement Award, REMAX Executive Club Award and REMAX Platinum Club Award. Ryan has been voted “Best of the Best” by the readers of the Davison Index. Ryan was a finalist for RE/MAX of Michigan’s 2017 Broker/Owner of the year and also Recruiter of the Year. Ryan’s passions include local history and philanthropy. He has a deep-rooted interest in collecting interesting, historical items from the local area. He is a history buff with a vast knowledge of the old, beautiful buildings that line the brick streets of downtown Flint and Genesee, Oakland and Lapeer Counties. 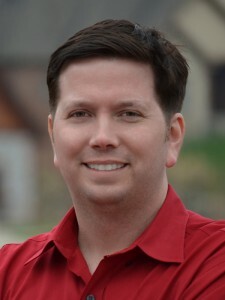 Ryan is a member of the Flint Institute of Music and Arts and the Sloan-Longway Planetarium and a past president of the Carriage Town Historic Neighborhood Association, which is an organization that promotes home ownership and historic preservation. He is a past chairman of The Flint Historic District Commission – an organization chartered through the City of Flint to help property owners with homes in the historic district get approval to make changes and repairs to their properties. He is past chairperson of the Flint Civil Service Commission, having been elected by the union members of the City of Flint to hear employee grievances. Ryan was the youngest person in Flint city history to be elected to that position. Ryan serves as board member for the Whaley Historical House and is the founder of Students for a Better Community, a lifetime member of the Flushing Historical Society, a member of the Genesee County Historical Society, a member of the Flint Bottle Club, a member of the Watershed Coalition, the Flint Children’s Museum, the Flint and Genesee Chamber of Commerce, the Davison Chamber of Commerce, and a member of the Greater Flint Arts Council. Ryan has been featured in various articles for the Flint Journal, Slate Magazine and REMAX Times related to real estate education and industry trends. RE/MAX Edge’s full-service REALTORS® and their full-time assistants specialize in condos, vacant land, residential homes, relocation, short sale and pre-foreclosure sales, bank owned properties, luxury properties, lakefront properties, commercial buildings, multi-family units… you name it, RE/MAX Edge has the professionals with the experience necessary to assist! RE/MAX Edge is staffed by three full-time, dedicated administrative professionals with experience specializing in short sale negotiations, marketing, advertising, training, retention, customer service and office management. Let our experience take you home!